Class A Preferred Equity commitment. March 2011 – ECS was engaged by Le Norman Properties LLC (“Le Norman”) as its exclusive placement agent to raise equity capital to develop its oil and gas assets in the Granite Wash and Cleveland Sand Trends in the Texas Panhandle, lease additional acreage, and pursue strategic acquisitions. May – June 2011 – ECS marketed Le Norman to large private equity funds, solicited term sheets, negotiated terms and reviewed deal documents. August 2011 – Le Norman closed a $350MM private equity commitment and formed TLP Energy LLC (“TLP” or the “Company”). 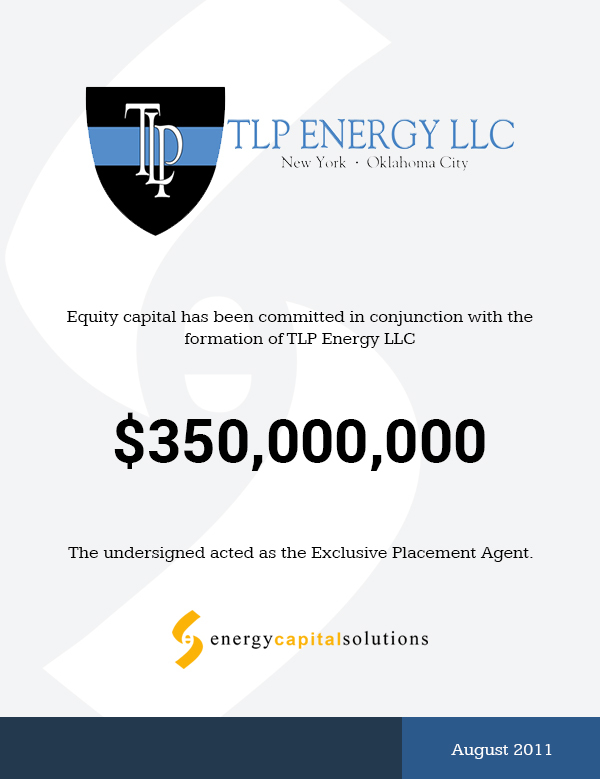 Substantial Commitment for Focused Plan – The $350MM commitment allows TLP to execute on its development plan for in-hand acreage and identified leasehold, while allowing the Company to make strategic, opportunistic acquisitions within its AMI in the Texas Panhandle and Western Oklahoma. Strong Financial Terms for Management – In addition to an attractive buy-in valuation for Le Norman’s contributed assets, management received an incentive structure which earns the team a sizeable ownership stake after a series of reasonable return hurdles. Reasonable Control Provisions – Although Le Norman’s financial partner ultimately controls the Board of TLP Energy LLC, Le Norman negotiated several provisions to ensure that TLP management has the flexibility to operate its assets, hire its team, and pursue opportunities without undue restrictions.